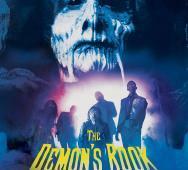 James Sizemore‘s The Demon’s Rook (2013) will get its DVD release on February 3, 2015. Amazon currently has The Demon’s Rook available for pre-order for $9.99. Various other VOD platforms will also release The Demon’s Rook on February 3, 2015. Starring in The Demon’s Rook (2013) are Ashleigh Jo Sizemore, James Sizemore and John Chatham. Will you watch The Demon’s Rook on DVD or VOD? Kevin Kolsch and Dennis Widmyer‘s Starry Eyes (2014) releases on Digital Download, Blu-ray and DVD on February 3, 2015. The Blu-ray cover art looks very disturbing and unnerving. Are you ready to see what happens to this young actress as she tries to become a movie star? 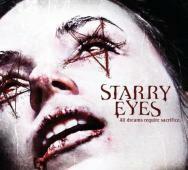 Starring in Starry Eyes (2014) are Alex Essoe, Amanda Fuller and Noah Segan. 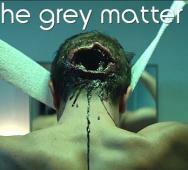 The Grey Matter is a new horror short film that gives a dark horror comedy spin on having a parasite sharing your body. Some of the special effects are a little disturbing but the overall tone of the short is pretty good. Peter McCoubrey and Luke McCoubrey are responsible for giving us this nice treat. Simon is a desk jockey who shares his body with Brian. Thats enough build up, watch the video below. Silent Night, Bloody Night 2: Revival returns over 40 years after Silent Night, Bloody Night (1972) and today we have scored the first photo, synopsis and press release details. 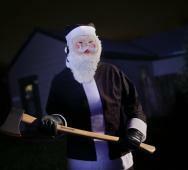 The film has started filming and the photo shows Santa with his trusty axe. Leave some comments on the film and thoughts on the past film. AMC has announced that they will run a full The Walking Dead marathon for New Years. This marathon will start with the pilot “Days Gone Bye” at 9:00 am EST on December 30, 2014. This will end with the mid-Season 5 finale “Coda” at 5:00 am EST on January 3, 2015. This will include all 59 episodes of The Walking Dead that has aired so far. I am not sure how many viewers will stay up until 5:00 am to see Coda again but I would love to see the US viewer numbers. Netflix has been treating horror fans to steady updates to their instant horror movie library. This December 29, 2014 update adds Dark Skies, I, Frankenstein, LFO: The Movie, Paranormal Activity: The Marked Ones and The Strange Color of Your Body’s Tears. Some of these films are popular mainstream movies going back to 2013. Enjoy the last few days of 2014 with Netflix Instant. Remember Marty (Fran Kranz) from Drew Goddard‘s The Cabin in the Woods (2012) as the unlikely hero who had the killer bong. 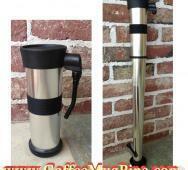 Now CoffeMugPipe.com has made the movie prop into a real life item available for purchase. You can get one for $79.99 if you say that you are 18 years or older. This is a killer item for fans of the movie and regular stoners out there not to mention a great conversation piece. Jacob Ennis’ Kill, Granny, Kill! (2014) releases on DVD this upcoming April 21, 2015. This film is definitely something that you do not see everyday and if you are like me, you are willing to give it a try too. Not exactly excited but interested in watching the film. 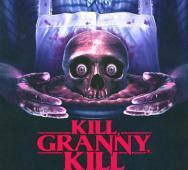 Kill, Granny, Kill! (2014) stars Kristine Renee Farley, Dale Miller and Kayla Perkins. David Robert Mitchell‘s It Follows (2014) now has a new movie poster attached to the film. The poster is simple and centers on the origin part of when the nightmares start to occur. I really like the basis of the film but think the poster could have been better instead of taking the “safe route”. 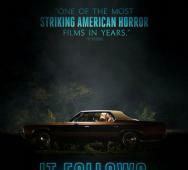 It Follows stars Linda Boston, Caitlin Burt and Heather Fairbanks. AMC's The Walking Dead Cobalt TV Series Set in Los Angeles! AMC’s The Walking Dead Companion TV Series (codenamed Cobalt) is set in Los Angeles. This news was confirmed by TheWalkingDead.com but may not stay in L.A. for too long. As we all know, Robert Kirkman does not like to have his characters feel too relaxed in one place for too long keeping the “zombie” threat high. Actor Cliff Curtis will most likely play the male lead character with Frank Dillane and Alycia Debnam Carey co-starring. More on the new Walking Dead TV series to be released soon. 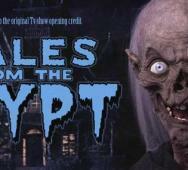 New Fanmade 'Tales From the Crypt' Full CG Video Intro is Awesome! This fan made video does beautiful justice to HBO’s Tales from the Crypt intro. This video has every scene from the original intro and even the original score created by Danny Elfman. The new full CG intro is created by Damien Peinoit, Adel Benabdallah, Toufik Mekbel and Omar Meradi. HBO should keep an eye on these guys or possibly hire them because they nailed. How many of you want to see a fully HD version of the great horror TV series? 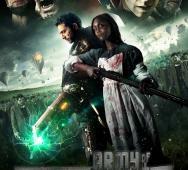 Ryan Bellgardt‘s Army of Frankensteins (2013) has recently released a new poster for the movie. The poster looks good and has all the right elements on the poster. You can watch the movie trailer here. Starring in Army of Frankensteins (2013) are John Ferguson, Jordan Farris, Christian Bellgardt, Lucas Ross, Rett Terrell and Raychelle McDonald. Ghostbusters 3 Cast Revealed: Jennifer Lawrence Involved!? Paul Feig will be directing Ghostbusters 3 and we have scored some pretty concrete possible cast names from leaked emails. This new Ghostbusters movie is going to be a reboot that ties in with the original Ghostbusters movies from the 80’s but with an all-female cast as the Ghostbusters. Stars include Jennifer Lawrence, Emma Stone, Melissa McCarthy, Amy Schumer and Lizzy Kaplan along with recently announced Rebel Wilson are all strong candidates. The Ghostbusters film will take place in another world where the events in the first two movies never happened on this new world, sounds confusing but this ensures that there will be very little ties to the old movies but the film will be able to use all the old assets from the previous Ghostbusters movies. Does this sound interesting, comment below with your thoughts on these news for Ghostbusters 3. Black Wolf Media will be releasing Chainsaw Sally: The Movie (2015) in an open 2015 release date. Chainsaw Sally was co-created by Jimmyo and April Burril (also plays Chainsaw Sally). The animated series has been confirmed to be in pre-production by Bloody Bombshell Entertainment and Fatality Films. Are you ready for the extreme blood and gore that Chainsaw Sally leaves in her wake? SEGA Turning Classic Games into Movie Adaptations and Spinoffs!? SEGA has initiated movie adaptations of the following classic SEGA video games: Altered Beast, Streets of Rage, Shinobi, Rise of Nightmares and Crazy Taxi. These future films will be full English live-action or animated spinoff movies. Rumors of Virtual Fighter and Golden Axe are also said to be getting movie adaptations. Break Media‘s executive Evan Cholfin was hired by SEGA to head the movie adaptations. This makes perfect sense since many of the fans of those games and that era are now the prime demographics for ratings and business, more revenue for SEGA. Would you go see these films “just-because” and what are your found memories of these game titles? 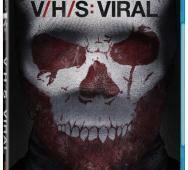 Magnolia Home Entertainment will be bringing us V/H/S: Viral (2014) to Blu-ray / DVD this upcoming February 17, 2015. Some exciting special features include Gorgeous Vortex which is a short film by Todd Lincoln, audio commentary from the directors, behind the scenes featurette and many interviews. V/H/S: Viral stars Patrick Lawrie, Emmy Argo, Heather Hayes, Jessica Luza, John Curran, Justin Welborn, Mary Ralston, Michael Aaron Milligan, Gustavo Salmer?n, Marian ?lvarez, Xavi Daura, Esteban Navarro, Nick Blanco, Chase Newton, Shane Bradey and Jayden Robison. 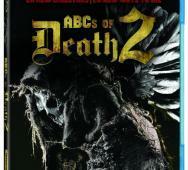 Magnet Releasing‘s The ABC’s of Death 2 (2014) hits Blu-ray and DVD thanks to Magnolia Home Entertainment this upcoming February 3, 2015. How many of you are stoked to see this horror anthology from 26 directors? I was not a complete fan of the first installment but I will try out this continuation of the franchise. Special feature include commentary by all 26 directors plus a “making of” featurette. All 26 directors include Aharon Keshales, Navot Papushado, Alejandro Brugues, Bill Plympton, Chris Nash, Dennison Ramalho, Erik Matti, Evan Katz, Hajime Ohata, Jen Soska, Sylvia Soska, Jerome Sable, Jim Hosking, Juan Martinez Moreno, Julian Barratt, Julian Gilbey, Julian Maury, Alexandre Bustillo, Kristina Buozyte, Bruno Samper, Lancelot Imasuen, Larry Fessenden, Marvin Kren, Robert Boocheck, Robert Morgan, Rodney Ascher, Soichi Umezawa, Steven Kostanski, Todd Rohal, Vincenzo Natali. M. Night Shyamalan has been developing Wayward Pines since 2013 and Wayward Pines Season 1 finally premieres on May 15, 2015. 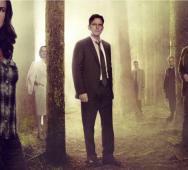 The new drama mystery TV series is based on the popular The Wayward Pines Trilogy novels by Blake Crouch. Matt Dillon plays a secret service agent who arrives in Wayward Pines after a bad car accident. He soon learns that he cannot leave the mysterious town. Watch the trailer, hard not to spoil this. Starring in Wayward Pines are Terrance Howard, Carla Gugino, Melissa Leo, Juliette Lewis and Toby Jones. Syfy’s Z Nation Season 1 caught me off guard how well the first episodes were but it did not hold up in later episodes. I kind of trailed off watching the later episodes to watch favorites like The Walking Dead, The Originals, Arrow, Flash etc. I can catch up on the ending episodes of season 1 now that the DVD will release on February 10, 2015. The cover art looks pretty sweet catching a “killer” moment in the zombie apocalypse. The bonus features are listed in full below but are not too exciting. 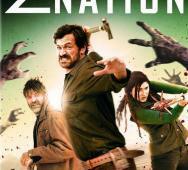 Starring in Z Nation are Kellita Smith, DJ Qualls and Keith Allan. It has been confirmed that Camille de Pazzis has been cast in Netflix’s Hemlock Grove Season 3. Pazzis will play Annie, “Annie, a mysterious and kind old soul masquerading in a young body who has close ties to the Godfrey family.” Hemlock Grove Season 3 has already started production and this will be the series finale, last season of Hemlock Grove. Look for the new season of Hemlock Grove to stream on Netflix in 2015.